PEEL the red beets and grate them quite fine. Place them in a small bowl and season the grated red beets with pepper and salt. Make sure your fresh spinach leaves are rinsed and then dried properly and the tough stems are removed. HEAT a grill pan on high heat. 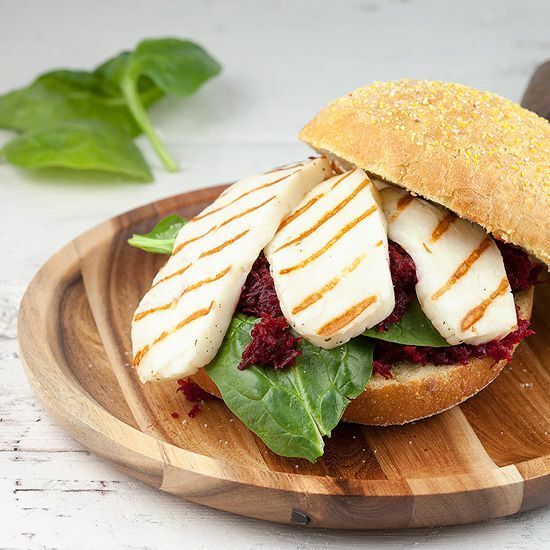 CUT the halloumi cheese into slices and grill them on both sides for about 2 minutes, or until the grill pattern appears. You don’t have to add olive oil or butter to the pan. 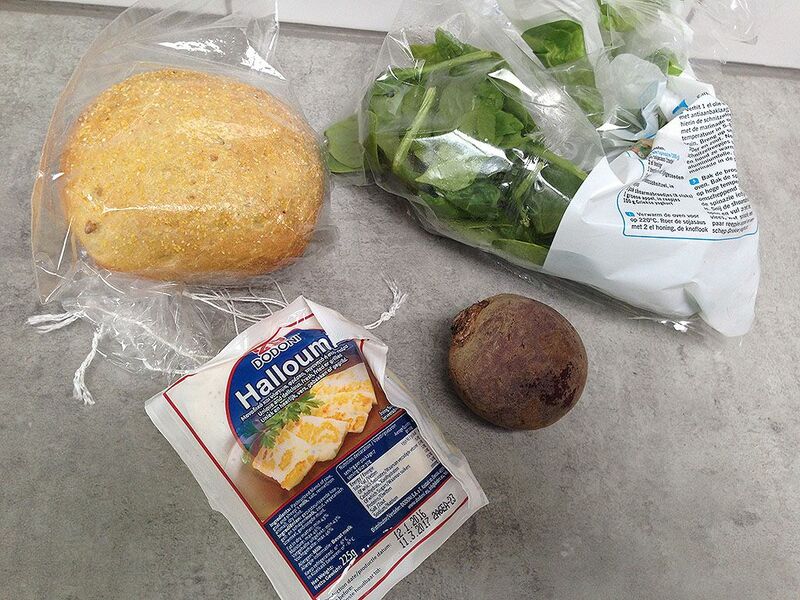 SLICE the sandwich into half and divide some of the grated red beets, then a layer of baby spinach. If you choose to add some spanish pepper, you can now add them into small pieces or slices. Then again a layer of red beets and finish it off with the hot grilled halloumi. 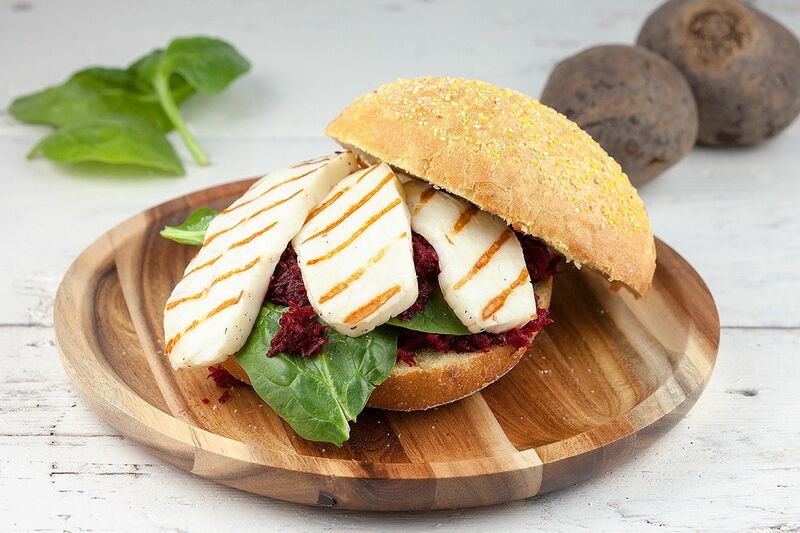 Season the halloumi with pepper. such a delicious looking sandwich. 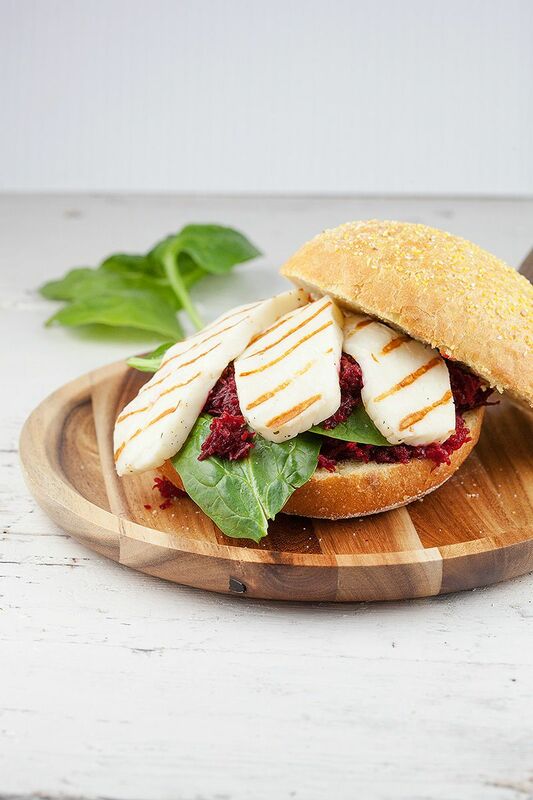 definitely loving that crispy halloumi, one of my favourite cheese i have to say!